You’ve spent months and thousands of dollars planning your dream wedding. Everything is perfect, from the dress to the flowers to the candlelit reception hall. But what if something goes drastically wrong? What if a hurricane or storm makes your venue inaccessible? What if your DJ fails to show up to the reception? Weddings are magical, special days, but we’ve all seen enough videos of “wedding fails” to know that things can and do go wrong. Sometimes it’s something minor, like a broken heel or a smashed cake. But sometimes major issues can arise, leaving the bride and groom desperately searching for a last-minute solution. This is where wedding insurance can be a lifesaver. 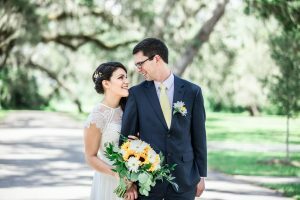 Why would I need a wedding event insurance? Your wedding is an investment, and wedding insurance helps you protect that investment from circumstances beyond your control. Imagine the month before your wedding. You and your fiancé are excited and eager, making final touches to the preparations you’ve spent the past year perfecting. Then you find out that your reception venue caught on fire and was seriously damaged. In fact, they won’t be able to open up anytime soon and certainly not in time for your wedding day. You suddenly find yourself scrambling to find a replacement venue on very short notice—and you’re out the substantial deposit you put down on the original reception hall. With wedding event insurance, you could recoup the loss of that deposit, enabling you to more easily pay for that last-minute change of venue. 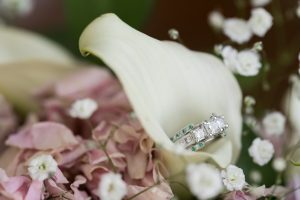 The cost of wedding insurance varies, depending on the wedding, the deductible, and the types of loss that are covered. But a basic policy that covers the loss of attire, rings, gifts, and deposits usually costs somewhere between $150 and $600, depending on the extent of the coverage. General liability insurance, which covers up to $1 million for accidents, often costs less than $200. Before purchasing your wedding event insurance, check with your vendors to see what coverage they have. Your caterer or reception venue may already have their own insurance, so you don’t want to pay for overlapping coverage you don’t need. Ask for copies of their insurance policies and figure out where your wedding isn’t completely covered. Fortunately, when you choose Divine Goddess Photography, you can rest easy knowing that we are fully insured, so you won’t need any additional coverage for photography. What will wedding insurance cover? These policies are designed to cover things that are out of your control, like weather, issues with your ceremony or reception site, and injury or illness. Wedding insurance can also cover things like vendor no-shows or the postponement of the ceremony due to the bride or groom getting called to military duty. You can even purchase supplemental policies to cover things like videography, special attire, and lost or stolen gifts. Your policy likely won’t cover any jewelry, watches, or gemstones, so if you’re wearing your grandmother’s tiara or your mother’s earrings, they won’t be protected should they go missing. While your policy may cover you and your fiancé’s wedding rings, it likely won’t cover your engagement ring. And, of course, no insurance policy will protect against a sudden change of heart. If you get cold feet, you’re just out the money you’ve spent. When purchasing wedding insurance, be sure to talk to your insurance agent and make sure you fully understand the details of your policy and what is and is not covered. Wedding planning can be stressful, and purchasing an insurance policy to cover accidents and emergencies can help give you some peace of mind and allow you to truly look forward to your special day with your soon-to-be spouse.